The opening rooms of Tate Britain’s new exhibition, All Too Human, exert a powerful effect. On a cold London late morning, the strong sunlight filtered through the Tate’s central dome is swiftly replaced by the dark materials of the early 20th Century. Walter Richard Sickert’s depictions of nudes in dilapidated bedrooms contrast sharply with David Bomberg’s shimmering landscape, Toledo from the Alcazar, before the impact of the Second World War on Francis Bacon is explored through some harrowing art, Figure in a Landscape especially. 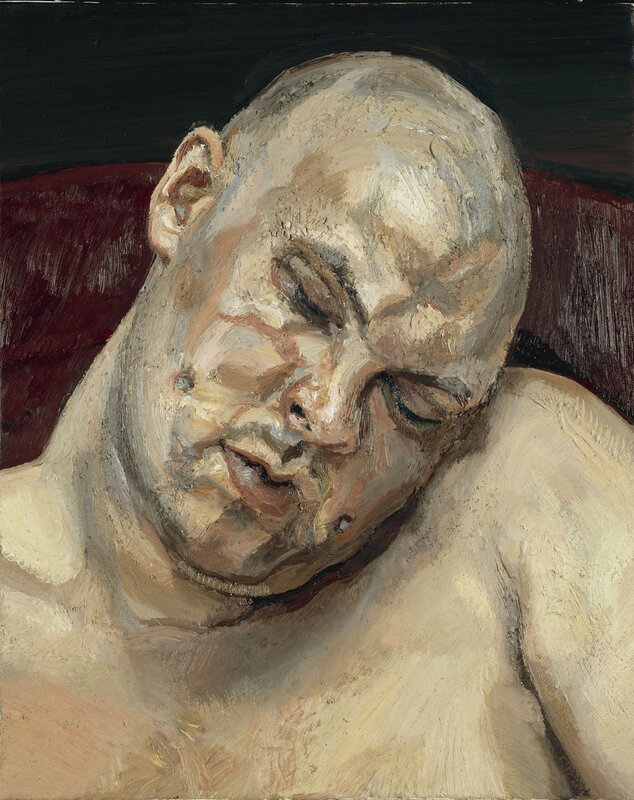 Bacon’s is one of two names towering above others in the show, that of his friend, Lucian Freud, being the other. The event’s theme, “how artists in Britain have stretched the possibilities of paint in order to capture life around them”, is a little stretched itself at times but at least guarantees that the art is primarily social in nature. Well-curated throughout, highlights include a Bacon portrait of Freud that’s on public display for the first time since 1965. Key influences are explored in lively fashion, notably Bacon’s work with photographer John Deakin, and Freud’s earlier fine art inflected pictures and association with William Coldstream, who hired him as a teacher at Slade School of Fine Art. 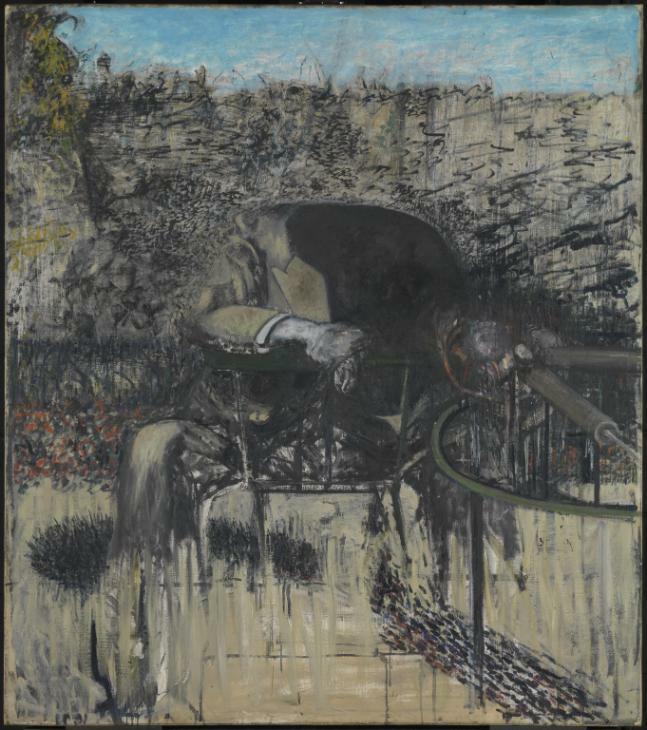 Following a sizeable chunk of Bacon, and the marbled fat and hairy genitalia of Freud’s later work, the social scenes of Michael Andrews and R.B. Kitaj sweep you away with their vibrant colours and portrayals of the warm connections between people in difficult circumstances. Then the exhibition highlights the problematic lack of British female artists on show, the five paintings by Paula Rego finally depicting women in a full multiplicity of roles. All Too Human contains scenes of overwrought morbidity but ultimately offers an illuminating trip through the past century of British art, and points to a vibrant future through the work of artists including Lynette Yiadom-Boakye and Cecily Brown. All Too Human will be on display from 28 February – 27 August 2018.